It’s no secret we’re big fans of Club Med. It’s the ideal option for families who want a stress-free, luxurious holiday that won’t totally blow out the budget. The latest Club Med sale has reminded us of why we love them so much. 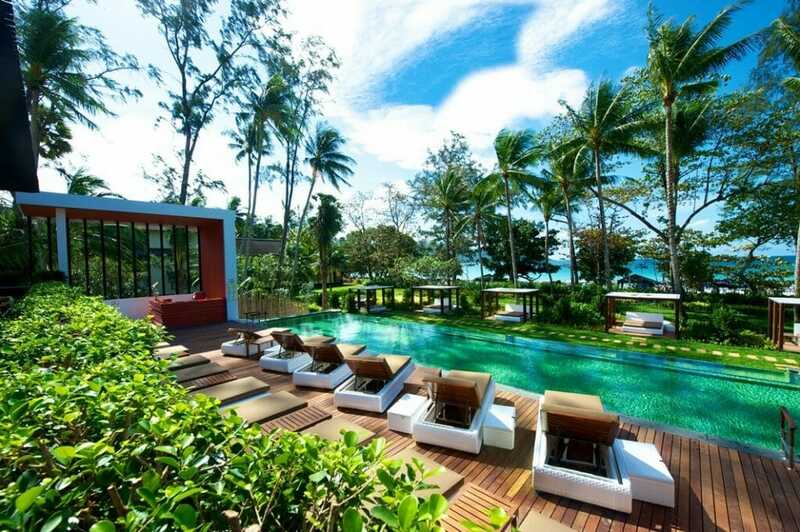 Resorts in Phuket, Bali, Bintan Island and Cherating Beach are now on sale with awesome fixed-price all-inclusive rates. If you travel in May, June, September or October, you can save a tidy penny. And yes, this does include school holiday dates. So which one will you pick? Turn your regular Bali holiday up a notch. An all-inclusive stay at Club Med Bali means relaxing on the shores on Nusa Dua, trying out a bunch of activities, tasting authentic Indonesian food and even getting a chance to make your own. Flying Trapeze School – Kids over 4 can put their circus skills to the test under the guidance of trained professionals. Learn how to fly through the air on a trapeze, walk across a tightrope, juggle, trampoline and bungee bounce. Each session has a warm up, lesson, practice and cool down component. Windsurfing School – Club Med Bali has all the right equipment to help you try something you might not usually be able to. I mean, not everyone has a windsurfer at home, right? You can jump into a group lesson and learn the basics. When you feel confident, you can hire your gear and hit the ocean on your own. Kids Waterpark – If the adults get their own pool, so should the kids. It’s only fair. The kids waterpark has jets and fountains to splash around in. Kids also have two playgrounds to choose from, plus a range of outdoor activities on the beach or the grassy lawn. 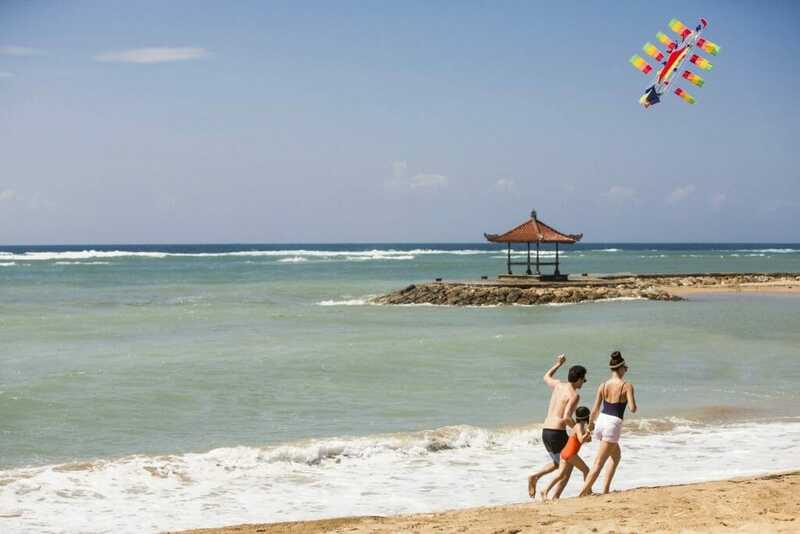 The nearest airport to Club Med Bali is Denpasar Ngurah Rai Airport. From Australia, the flight time is between 6-4 hours. Club Med Bali is located in Nusa Dua, around 30km from Denpasar Airport. The resort is within easy driving distance of Bali’s popular tourist hubs. It’s around 12km from Kuta’s vibrant shopping and nightlife district and 20km from the seaside temple of Uluwatu. Club Med often has great deals for families. Early bird specials and last minute offers are quite common. Right now, the Club Med sale includes great discounts on stays during the September school holiday. For a five night stay, prices start from $925 per person. Remember: This all-inclusive rate includes all meals and drinks, activities, unlimited access to the kids club and plenty of free entertainment. Book your stay with Family Travel and we’ll take care of all the nitty-gritty details. We can even book flights, transfers and travel insurance. More info here. Club Med Phuket is Thailand’s go-to spot for families. A gorgeous beachfront location, unique Thai experiences and food that will make your mouth water are why families keep coming back to this all-inclusive gem. Thai Boxing School – Maui Thai is a way of life in Thailand. It’s the Thai version of kickboxing and involves using fists, elbows, feet and knees. Kids over eight can learn how to safely practice this widely popular sport with trained coaches. Petit Chef Program – Love Thai cuisine? The kids can learn to cook it at home with the Petit Chef Program. Another way to get around the local cuisine is by getting the whole squad together for the Family “Big Snack” activity or organise a private group lesson. Phi Phi Island Day Trip – This one isn’t included in the rate but it’s worth the extra cash. Head out on a traditional long-tail boat and cruise around the islands. Swim and snorkel in Phi Phi Leh, enjoy a Thai-style lunch, do some shopping at Phi Phi Don and unwind on Bamboo Island. From Sydney, a direct flight to Phuket takes around 9 hours. The flight from Perth requires a stopover but you can be there within 10 hours. Then, from the airport in Phuket, it takes around an hour to get to the resort. Club Med Phuket sits on the shores of Kata Beach in the Karon district. The property in Phuket is one of Club Med’s most affordable, starting at just $790 per person for a 5-night stay. As with all Club med locations, this includes all your meals and drinks at a range of on-site restaurants and bars. You’ll also have access to loads of water sports, land-based activities and entertainment. Find out more about booking a Club Med Phuket holiday here. Right no the edge of the Malaysian Jungle, Club Med Cherating Beach is not your average topical getaway. This eco-friendly resort has nature at its heart with lush gardens, treetop adventures and exciting wildlife discoveries to be made. You can choose to take part in the conservation projects or just chill out on the beach. It’s the best of both worlds. 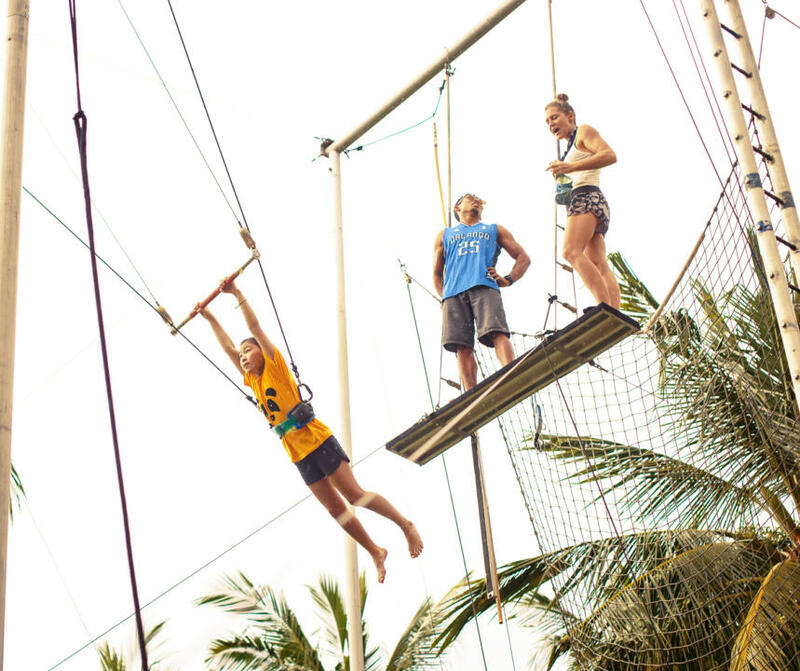 Treetop Adventure School – Zip, climb, scramble and soar through the jungle on Club Med’s very own Treetop Adventure course. Cherating Beach has three circuits for different age groups so everyone can have a go. Giant Stand Up Paddle Boarding – Just like the regular SUP experience, only bigger. These huge stand-up paddle boards are perfect for families wanting to test their balance and have some fun in the surf. Ride a party wave and throw up a shakkas. Live Entertainment – Embracing the sounds of the Malaysian jungle, Club Med Cherating Beach is always putting on a show. You’ll catch live music at the main bar at lunch and dinner. Dancing and theme nights are loads of fun for parents after the kids go to bed. You’ll also be able to catch live shows under the stars or in the theatre. Kuantan Airport is the closest hub to Cherating Beach. The flight from Sydney takes around 11 hours, and from Perth, only 8. You’ll likely have a stopover in Kuala Lumpur or Singapore. The resort is around 45-minutes from the airport. Nearby Cherating Town is just 5km from Club Med. For an all-inclusive 5-night stay, prices start from just $850 per person. This Club Med sale includes dates during the September school holiday so get cracking. Want more info? Check this out. Bintan Island is part of Indonesia, but most travellers take the short ferry ride from Singapore. The island is home to a mix of high-end luxury, budget and family-friendly resorts. Club Med Bintan Island is our top pick for families. You’ll find all the usual treats of a Club Med stay – awesome kids club, delicious food and loads of activities all included in your stay. But you’ll also have access to a range of unique cultural activities in a serene island setting. Sports Under the Sun – Club Med Bintan has a strong focus on health and wellbeing, so it’s no surprise there are loads of outdoor activities and sports on offer. You’ll find facilities for beach volleyball, squash, basketball, football, badminton and volleyball. All these activities are included in your stay. Crystal Lagoon Salt Water Park – If you’ve got a few adrenaline junkies in your family, this optional excursion is a must. Head out for a half-day-tour where you’ll cruise around on ATVs and run amok on the water obstacles. This excursion comes at an additional cost. Kids under 2 go free. Archery School – Channel your inner Robin Hood at the Archery School. 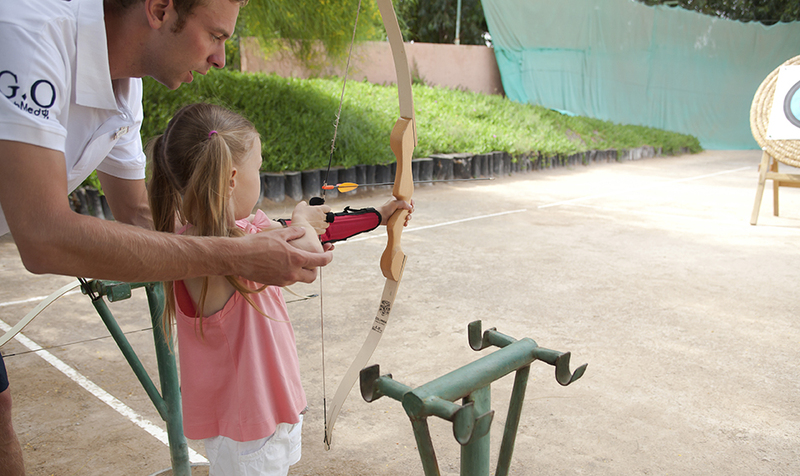 Suitable for kids over six, you’ll learn how to draw, aim and shoot an arrow at the target. We can’t guarantee a bullseye, but with the help of expert trainers, we reckon you’ll get pretty close. Bintan Island is part of Indonesia but can be easily accessed by ferry from Singapore. From Sydney, a direct flight to Singapore takes around 8 hours. From Perth, it’s closer to 5 hours. The next leg is included in your Club Med package. Take a 55-minute boat ride the ferry terminal in Puja Sera. From there, it’s a 15-minute drive to the resort. The Club med sale brings rates down to $1,170 per person for a 5-night stay. This includes all meals, activities, unlimited access to the kids club and your transfer from Singapore. If you’re keen to book, don’t dilly dally. The sale ends 9 April so get in touch for a personalised quote. No matter how many kids, whatever their ages, we can put together a package that suits you. Call 1300 404 100 or email familytravel@boundround.com.